Please navigate to the menu to view the Official 2019 Race Video! Thank you to our registrants and donors for your commitment to Steps for Students! 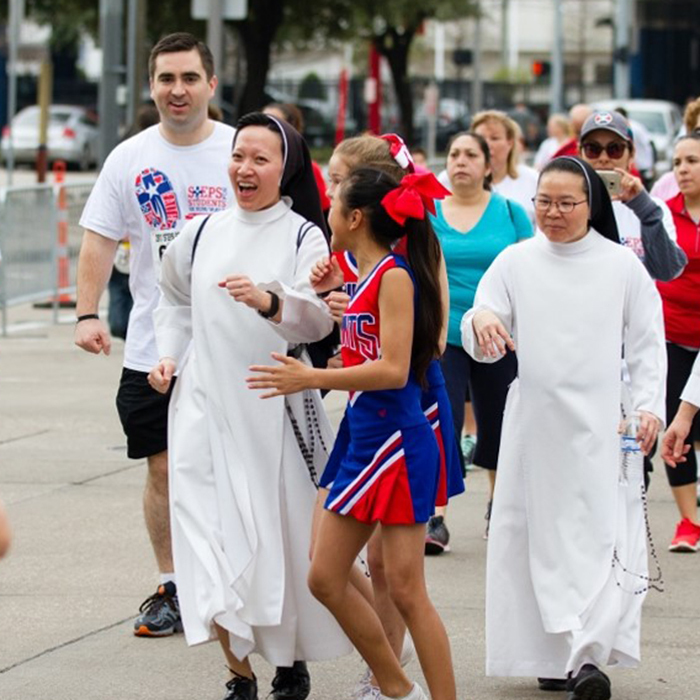 As one of the largest events in our community, Steps for Students has an incredible impact as it brings individuals together to raise awareness of the value of Catholic education. Your contribution to the Catholic schools in the Archdiocese of Galveston-Houston will be designated for each school’s unique needs, such as purchasing new technology and textbooks, providing valuable training opportunities for teachers, and updating school facilities. Our school communities are so grateful for the generous support!